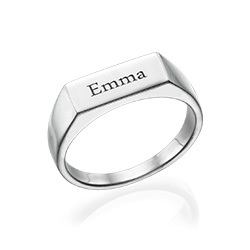 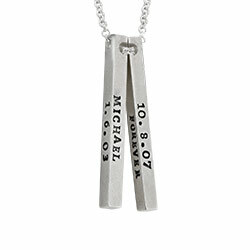 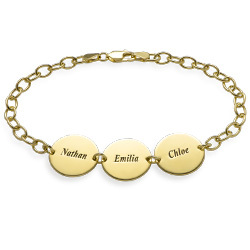 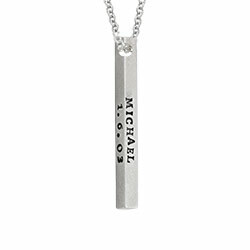 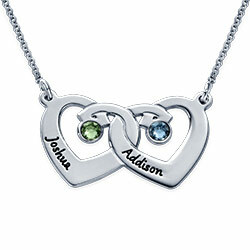 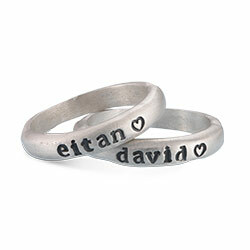 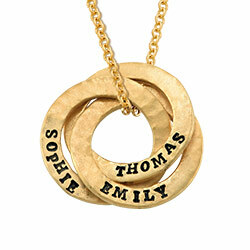 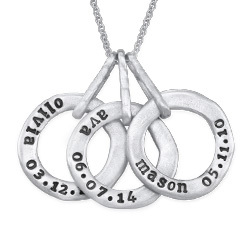 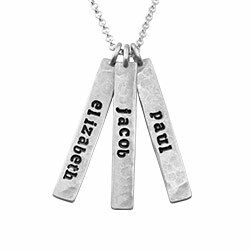 Our Hand Stamped Heart Necklace with Names in Sterling Silver takes a classic jewelry favorite to whole new heights! 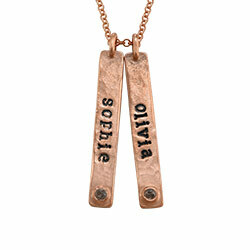 This contemporary piece features a message all your own, spelled out in hand stamp lettering. 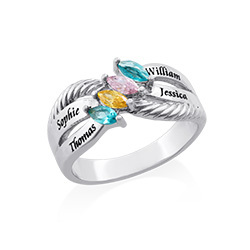 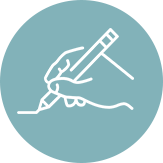 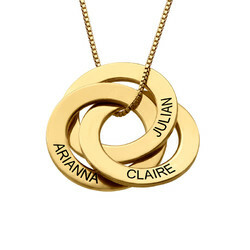 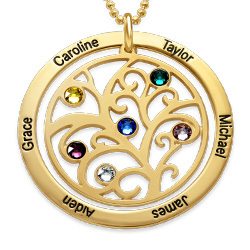 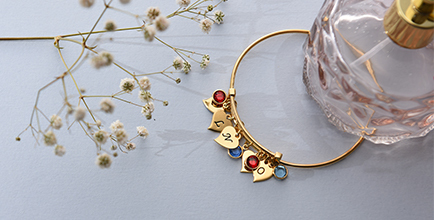 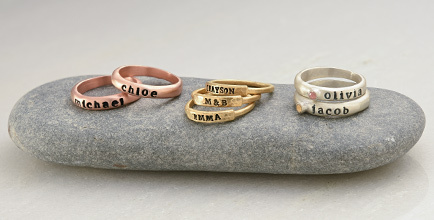 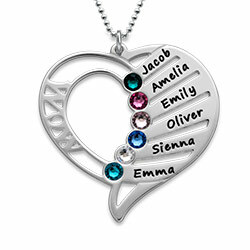 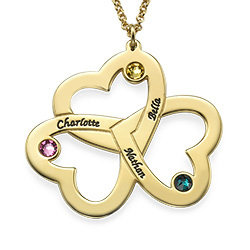 Its familiar profile provides a special meaning too: Each time she sees it, mom will remember the love her family shares. 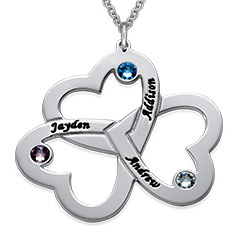 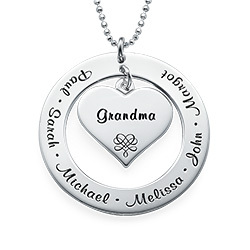 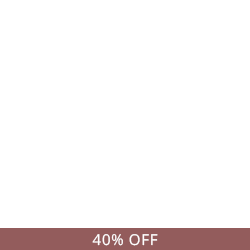 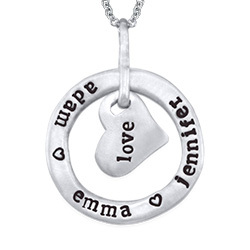 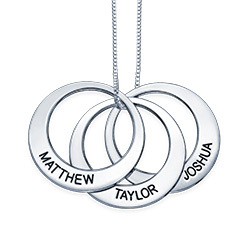 This lovely necklace is made of sterling silver, and comes with one to three hearts, each containing a name or word to convey your feelings. 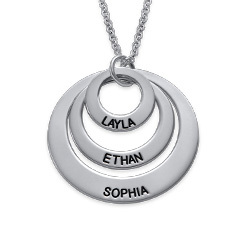 A matching rolo chain in your choice of length makes this beautiful silver hear necklace complete. 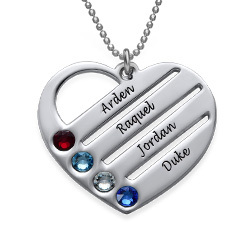 Love the look and want to see more? 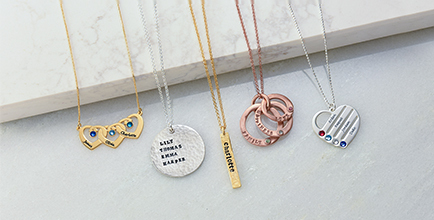 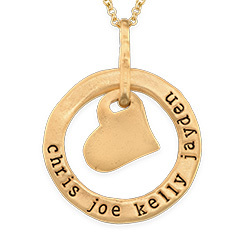 View our collection of stamped necklaces, which includes this sweet style in your choice of 18k gold plate or 18k rose gold plate. 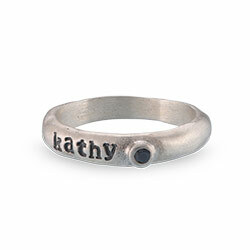 Measurements: 17.05mm x 18.2mm / 0.7" x 0.7"